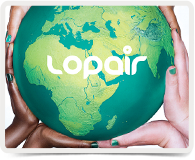 Each quarter, LoPair gives praises to our international Au Pairs who have undertaken an outstanding performance with their Host Families and LoPair's educational courses, activities by issuing a Quarterly Bonus. 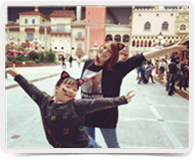 In addition, LoPair bestows the title of "Au Pair of the Quarter" upon one outstanding au pair each quarter to recognize the best of the best. 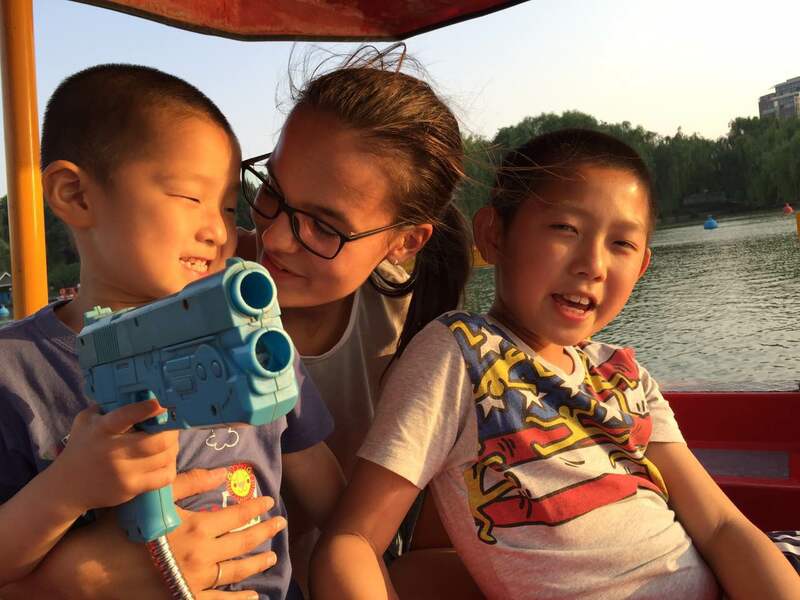 My au pair experience in china has been wonderful, first when I came I didn’t really knew what to expect. It was a leap of faith. 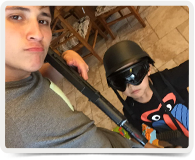 I didn’t really know much of my host family or the kids that I would be with, but I decided to give it a chance and I have no regrets. The Chen’s have been more than welcoming. they have embraced me with my highs and lows and I’m more than greatful because I fell pampered and taken cared of everyday since I arrived. They have shared not only their culture, views and costumes but their home and love. It has become a place where I feel comfortable and happy. We all help each other and try to make everyday the best of it. Not speaking the same language can be a huge barrier to deal with simple daily life issues, so it is really important to be with opened minded people that are willing to embrace the task. The Chen’s are always willing to listen to me in the most basic ways, we take things with humor and that helps to overcome any misunderstandings that life may bring. My 3 little girls are more than just my host kids, they have become my partners in crime, my playmates, my sunshine and my sisters. I’m so lucky to have them. They are intrepid, funny, loving and playful. Everyday I try to make them learn something new in an interesting and enjoyable way and they are always exited to see what new task I’ll prepare for them in the future. They are clever, smart and just wonderful to be around. They try to keep me informed about what hapends around us even if I don’t speak the language so they have become my best allies during this journey, I can’t imagine having my Chinese experience without them. And of course there has been moments of doubt and loneliness but I think that has made me even more aware of the things I have at home and usually give for granted, there’s nothing that a positive attitude and hard work cant beat . I have a different perspective of society and life since I came to this beautiful country. In China it is not about how strong one person can be, Chinese know better when it comes to that, they believe that united, better things can be achieved and that includes family. I know my time here has been a great experience for them and for me and I will miss them when I’m gone. They will always have a place in my heart and the Chen’s have made china a place I’m happy to call home. 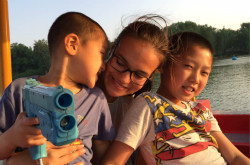 When I arrived in China two months ago, I never imagined my Au Pair experience to become such a great success. I could not have found a better family than the Yangs! My host family and I are the perfect match. Time flew and I wish I could stay longer. My host brothers and I get along very well. They welcomed me as a new family member from the first day. They call me their big sister, and we have already spent so many great moments together. They are just adorable when they ask me time and again how I am and would offer me something to eat. While we are on that subject: I love the food here! The Nanny cooks deliciously, and the family gave me the opportunity to experience Chinese cuisine as they took me out to several restaurants. During the week I tutor Daniel and Berlin in English and German and take them to their extracurricular classes on the weekend. We also like to play board games, read, go to the park where we play soccer, badminton, take a boat on the lake or we just run around together and play. I feel great respect for the parents as they work very hard, and I admire their work ethic. My host mum is a very kind and considerate person, and, though absorbed in her time-consuming work, she takes notice when she finds I look somewhat tired and would tell me to take a break. One time I fell ill, then the parents bought me medication. I am very grateful for everything the family has done for me and can say that I really took them into my heart. As my Chinese is still very basic (I am working on it), my host mum and I have our exchanges thanks to translating apps. I think our good communication is the key for our great relationship and for that it is not necessary to speak the same language! So far, my stay with the Yang family has proved to be a true cultural exchange. On several occasions, my host mum gave me her precious time to talk in depth about Chinese and German history and I feel I learned a great deal about this country in these enriching conversations. The other day, as we were video chatting, my younger sister also came to talk to the family, and I really loved to introduce one of my German family members to my Chinese family here. 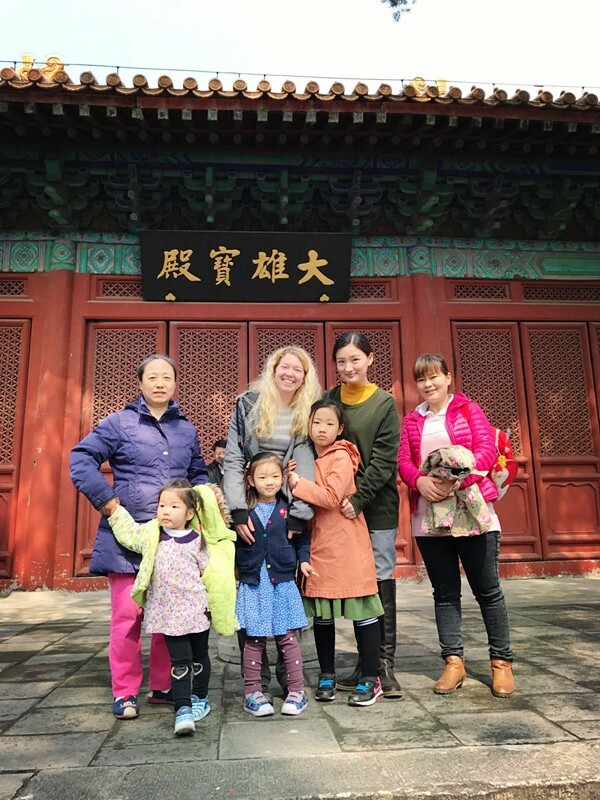 I am enjoying my life in China, every day brings forth a new experience, and I have found lasting friendships among the other au pairs. Beijing in particular is an exciting and pulsating city. Entertainment is guaranteed. I feel honored to be nominated by my host family. One thing is certain for me: I will continue to study and improve my Chinese and will definitely come back to China in the near future. Thank you for everything! 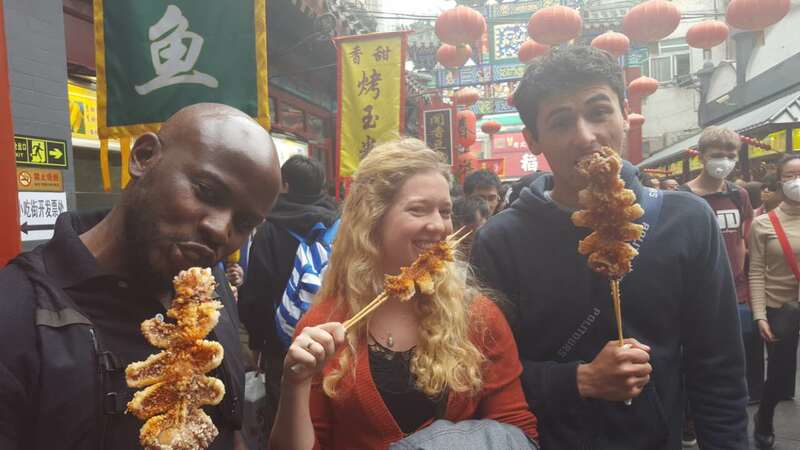 You have made my stay in China with you an unforgettable experience I will always cherish! 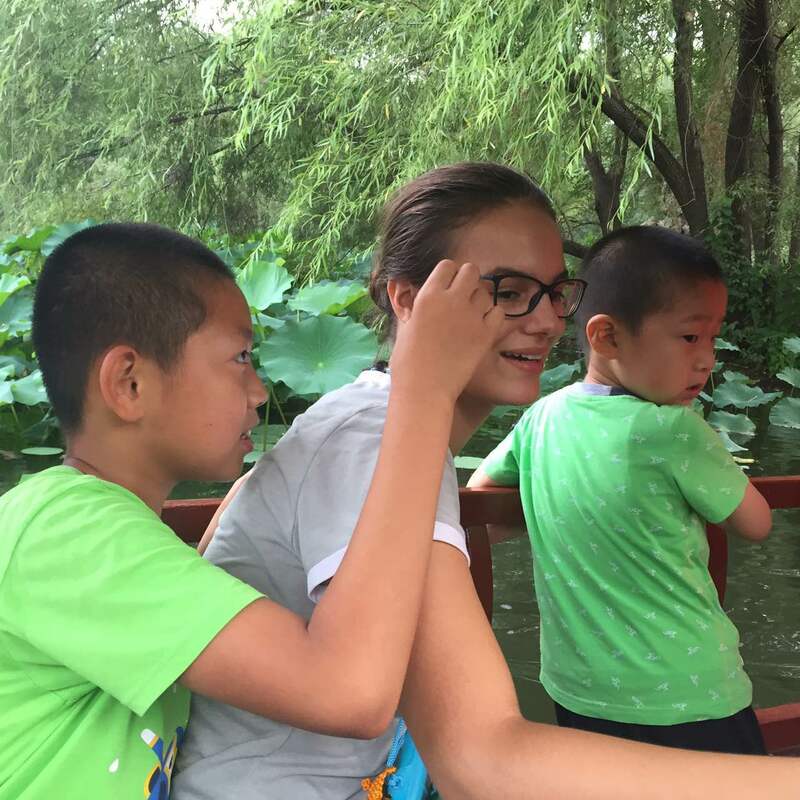 Hello, my name is Selina I am 20 years old and am currently working as an au pair in China. 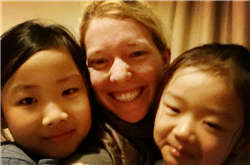 Working as an au pair in China differentiates itself from working as an au pair in other countries. Here I am more of an English teacher and older sister for my three little host sisters. I really enjoy this concept, for I worked as an au pair in London before and had a very different experience. In my former host family, I had five host siblings and sometimes I felt more like a gofer than an au pair. There I had to cook lunch and dinner, I had to do the laundry and was responsible for the weekly cleaning. 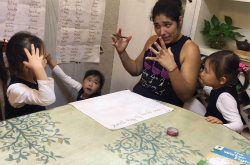 Of course, on top of caring for the children, which included homework and practicing piano, flute, violin and cello and playing/entertaining them. I had a great time in London, but it was hard work most of the time. Here in China I am only there for the children. I help the oldest one with her homework and assist her while she practices piano. Every day I prepare a short English tutoring lesson for her. Usually that includes some writing and reading and once or twice a week a little game. The second one is not in school yet so there is no homework to do. However, we read loads of books, sing Disney songs and others and draw a lot. Occasionally we practice the ‘abc’ or writing names of friends and family members. The youngest one doesn’t speak any English yet, so we communicate in Chinese. Weekends are a lot of fun, because we have more time to play together besides all the daily tasks. Also, very different to my time in London is my Chinese class. In London, I hadn’t had any class at all. Here I have class twice a week, a great teacher and classmates. I enjoy myself greatly here in China. Most of this is because of my host family. I think without a nice, welcoming and caring family it would be very hard to have such a good time. And the happy children are making my time here even more happy and joyful. Before I came to China I hadn’t had any great expectations, I just hoped to get along well with everybody and to improve my Chinese. I didn’t know what would await me, so I tried not to think about it. Then in my first days in China at the welcoming seminar in Hangzhou I felt better and worse at the same time. 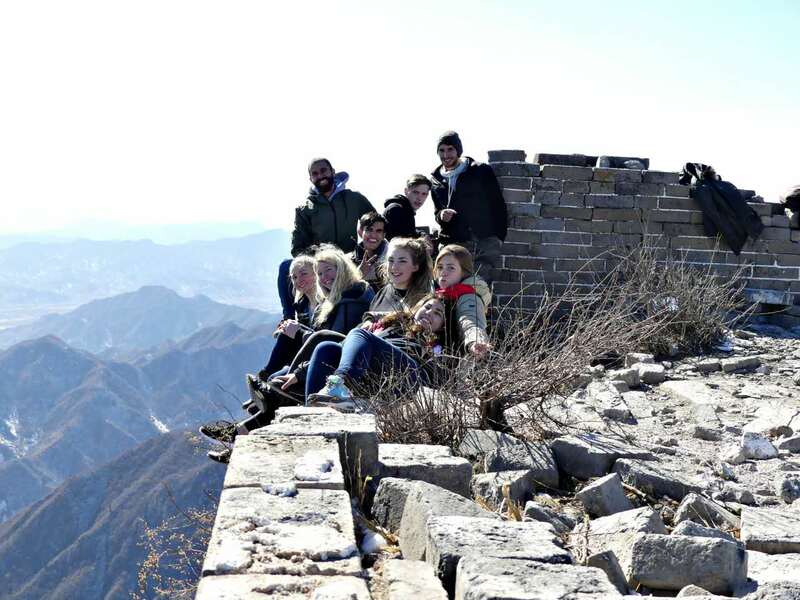 Better, because I got to know other au pairs with the same hopes and fears as me and because being in China was so exciting as well. Worse, because in these first days we learned a lot about au pair cases where it didn’t go well and the au pairs had to leave and various reasons for that. I was really worried I wouldn’t/couldn’t catch up with the family’s expectations of me. Well somehow, I did. From the first moment on they were very nice and easy to get along with. Of course, I have a big advantage, because my host mother as well as the girls speak English very well. There are no problems in communication, which makes everything easier. This way I could easily ask about my schedule, the house ‘rules’ and how to address everybody. 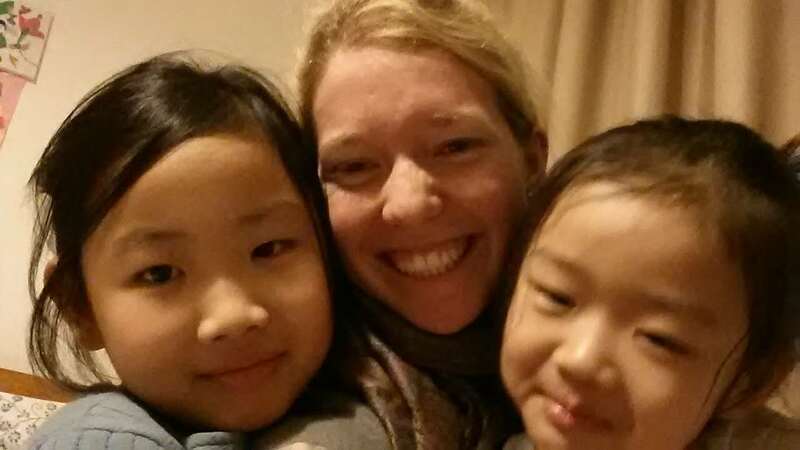 Still I think another reason why we get along so well, is my experience as being an au pair before. I knew before I came here how it is to be another ‘child’ for the host parents, but on the same time an authority and older sister for the host children. At times, it can be a difficult position, but here it is not. I get along very well with my host Mother and can ask her for help and advice if needed. 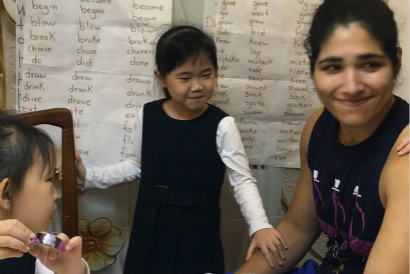 I can learn from and with the children, experience Chinese culture, tradition and language through them. I am very thankful to have such a nice and caring host family and I look forward to staying with them for another four months. Hopefully even after I return home we can stay in contact and care for each other. I wish me being here is as blessing and enriching for the family and especially the children as it is for me being with them!